“Community First Credit Union’s commitment to our community is legendary and this partnership demonstrates their on-going support of investing in local projects that have a positive impact on our quality of life,” said Pam Seidl, President of Fox Cities Sports Development and Executive Director of the Fox Cities Convention & Visitors Bureau. 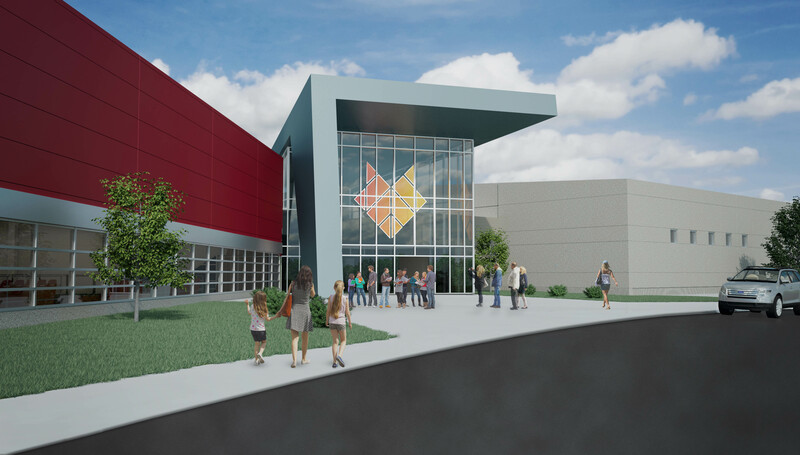 The 164,000 square foot state-of-the-art center includes the capability of two ice rinks with championship seating and up to eight basketball courts or sixteen volleyball courts. This unique facility lay-out features a modular design that transforms a seasonal arena into four basketball or six volleyball courts depending on the season of play. Leading the way for the Midwest region in SFM’s national portfolio of premier sports tourism venues, the Community First Champion Center is projected to generate nearly $9 million in economic impact during its first year of operation through new visitor spending.